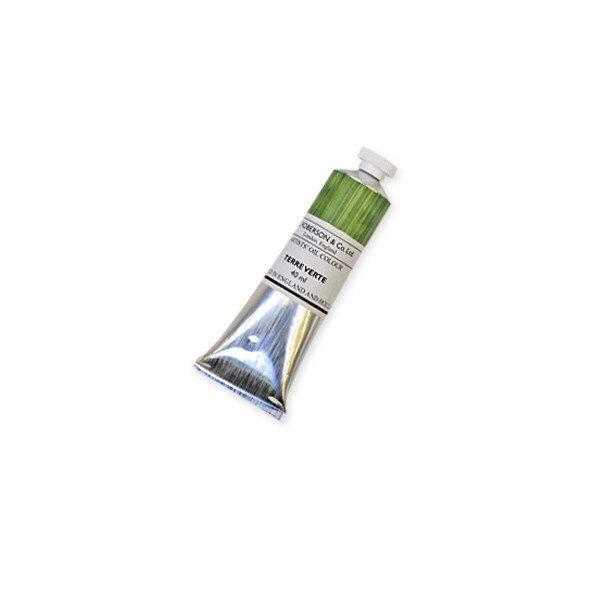 Roberson oil colours are made for the professional artist who prefers strong colours which mix well. The tightly defined range of 59 colours excludes colours which artists may mix for themselves from those already within the range. The colourman grinds high quality pigments and cold pressed linseed oil on stone mills with no fillers, extenders or stabilisers. The result is a highly pigmented oil colour, bringing the artist stronger colour than other ranges and the probability of more economy in use. Roberson oils are not produced in volume for widespread distribution and each label is hand painted to show the colour inside the tube.